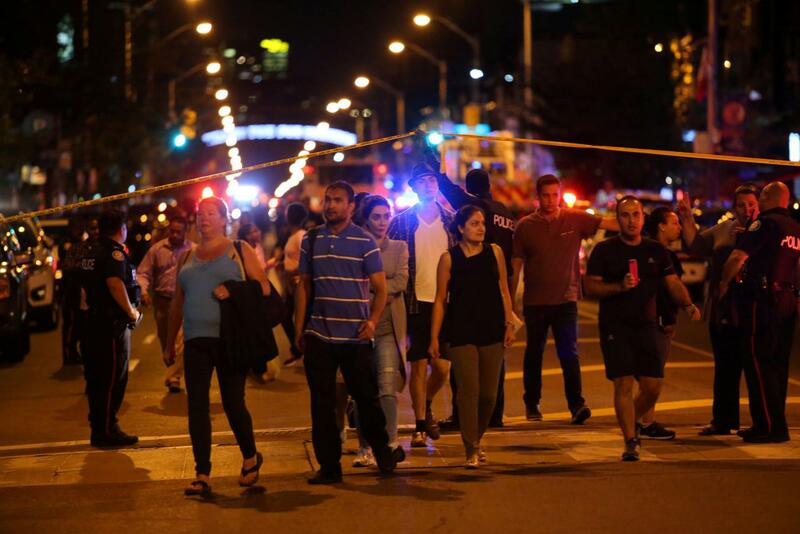 Nine shot in downtown Toronto, gunman dead: police - SABC News - Breaking news, special reports, world, business, sport coverage of all South African current events. Africa's news leader. Toronto Police said they had responded to a call at around 10:00 pm (0200 GMT Monday) in the city’s Greektown district. “Conditions of victims not known yet. A young girl is one of the 9 victims,” the police department tweeted. Ontario Premier Doug Ford tweeted out a message of solidary with the victims, saying: “My heart goes out to the victims and loved ones of the horrific act of gun violence in Toronto. The incident comes with Canada’s largest metropolis concerned over a spate of shootings, more than 200, this year. About two dozen have been fatal. This entry was posted on 23 Jul 2018,06:29AM at 6:29 AM and is filed under World, Homepage Featured Story Slider. You can follow any responses to this entry through the RSS 2.0 feed. Both comments and pings are currently closed.